On one of my visits to Cairo, in 2002, I witnessed the excitement that accompanied the publication of the novel “The Yacoubian Building,” which overnight made the its, Egyptian journalist Alaa Al Aswany, the most famous writer in the Arab world. I saw with my own eyes how people pounced on copies of the book that had been placed by the entrance to the Madbouly Bookshop on Talaat Harb in the city center, so that the piles quickly disappeared, and the lines that curved out the door in anticipation of a new pile of books for sale. There was a feeling that, with this book, a new era was beginning in Egypt, though it took nearly another decade until the insights sowed in readers’ hearts sprang forth in the form of the 2011 revolution that toppled Hosni Mubarak. “The Yacoubian Building” was a very bold book, the likes of which hadn’t been seen before in the Arabic-speaking world. Some questioned its literary merit, calling it polemical. But it spoke to everyone and opened up topics for public discussion that were hitherto taboo. What was most scandalous about it was a chapter that depicted a tragic homosexual romance between a newspaper editor and a married man from the Cairo slums. Readers couldn’t help seeing this chapter as a response to the horrifying affair of the “Cairo 52” from 2001, when the police raided a gay nightclub in Cairo and arrested 52 young men, who were then subjected to terrible degradations and given heavy prison sentences. This occurred at a time when Egypt had increasingly been opening itself up to globalization and experiencing a relative financial boon. A bone had to be thrown to appease the Islamists, and homosexuals were the chosen scapegoat. The novel also depicted the bitter fate of Egyptian young women who must go out to work and are sexually abused by their employers. It vividly portrayed the Mafioso-like behavior of the president and his family, as well as the despair that leads some young people to join Islamic terrorist groups. All of these ills of Egyptian society were concentrated in a single Cairo apartment house, which served as a microcosm of the whole country. In fact, “The Yacoubian Building” (which was published in English in 2005, and in Hebrew two years ago), was later recognized as a book that inspired the revolution of January 25, 2011. 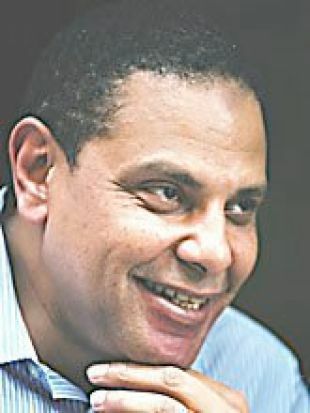 The author became one of its main spokespeople and earned a reputation as a fearless intellectual, one who isn’t afraid to be scathingly critical even now of President Abdel Fateh al-Sissi. Al Aswany’s novel “The Automobile Club of Egypt” was published in Egypt in 2013, when it was already clear that the great hopes of the Arab Spring had been dashed and had given way to catastrophe. I imagine that Al Aswany regarded the failed revolution and the reactionary Mohammed Morsi’s rise to power in 2012 as the shattering of an illusion that he was responsible for nurturing to some degree: For a brief moment in Egypt’s history, it had seemed that young people and intellectuals could change the Egyptian reality. This hope ended up imploding, however. While “The Yacoubian Building” was a novel of cutting social criticism that ended on a note of optimism and hope for a better future, “The Automobile Club of Egypt” – recently translated into Hebrew and already on some of the best-seller lists in Israel (it was published in English in 2015) – is, as befitting the circumstances described above, a dark novel swirling with evil that comes cloaked in a deceptive wrapping marked by nostalgic appeal. The nostalgic confection is the Royal Automobile Club of the title, which was founded in Cairo in the mid-1920s under British auspices. When it was organized, it was a symbol of westernization and modernization in Egypt, since what better symbolizes the change that has taken modern man toward greater freedom of movement and a victory over time and space than the automobile? But it very soon becomes clear to the reader that aside from the word “automobile” in the club’s name, this club has no connection to cars. It is nothing but a men’s club in disguise, whose members overeat, get drunk and use prostitutes under the auspices of the club’s guest of honor, King Farouk, who is the most corrupt and decadent of them all. All this hints that the westernization and technological modernization symbolized by the car were never anything but a superficial shell in Egypt’s case. For westernization came hand in hand with colonialism, occupation and a monarchy that collaborated with the British occupiers. And the automobile club described in the novel is an accurate mirror of this humiliating situation: The club is headed by a racist Briton, Mr. Wright. He himself doesn’t dirty his hands with the daily work of running the club. The one who manages the club’s staff with an iron hand and great cruelty is an Egyptian – a patent sadist, Alku, who punishes his employees, the club’s serving staff, in cruel, humiliating ways and even causes the death of several of them. Slowly, however, this rigid hierarchical structure begins to crack, and at the time the plot takes place – in the late 1940s, not long before the Free Officers’ revolt in 1952 – winds of rebellion are beginning to blow through the serving staff. The young men who are hired are no longer willing to work under a reign of terror, and they begin battling to bring about Alku’s downfall (I won’t reveal his end here). It’s worth noting that the Royal Automobile Club was indeed a prestigious colonial club frequented by King Farouk, and the building where it was located still stands on Qasr el-Nil Street in the heart of Cairo, not far from the Abdeen Palace, which was at the time the king’s residence. The club’s façade was built in the style known as neo-Islamic, though anyone looking at it today needs a lot of imagination to envision its past glories. In any case, the method used by Al Aswany is the same one that worked for him in “The Yacoubian Building” – focusing on a single building and describing what happens within it, as a kind of metonym for everything that’s happening in Egyptian society. The novel’s characters, again like in “The Yacoubian building,” are archetypes as well, each of them representing a particular Egyptian trait: the archetype of the young rebellious intellectual, that of the Western woman attracted to the exoticism of Arab men, that of the heroic, realistic family matriarch, of the thuggish young criminal, that of the Egyptian man of the older generation who can’t accustom himself to the breakdown of traditional society, and so forth. Among the types in this mosaic, one is particularly noteworthy: the Jewish revolutionary Odette, a member of the upper class, who, to a large degree, drives the threads of the entire plot and is depicted as the ultimate cause of the rebellion and upheaval that take place in the club. And in fact, this is extremely historically accurate, since there were many Jews who headed leftist movements in Egypt and who played a huge role in disseminating the ideas of revolution and liberation. Odette is the one who, through her romantic liaison with Mr. Wright, introduces her protégé, Abdoun, to the club. He is a member of the anti-British and anti-monarchist underground. 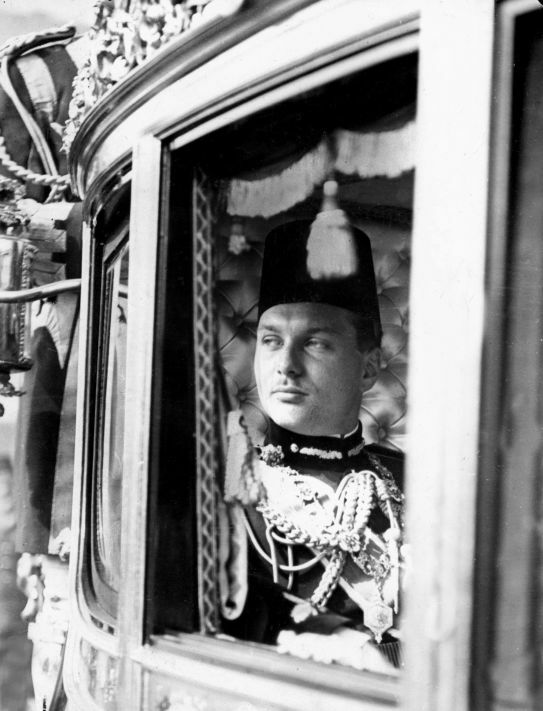 At the underground’s orders, he installs a hidden camera and films King Farouk in a compromising position, producing a photograph that the underground then disseminates throughout Egypt to embarrass the king. Another employee at the club is Kamel, an educated young man who abandons his studies to support his family, which has lost its money. He, too, finds his way to the underground. The novel is built around chapters, some of them written in the narrator’s voice and others in the voice of one or another of the book’s protagonists. Many chapters are written in Kamel’s voice, and others in the voice of his sister Saleha, who abandons her studies to marry a failed businessman who later proves also to be impotent, a drug addict and a wife beater. There are chapters too in the voice of their reckless brother Mahmud, who discovers that it’s possible to make easy money serving Western women as a gigolo. Al Aswany intoxicates his readers with colorful details of life and snippets of side plots, each of which is a melodrama in itself. He also builds up the suspense leading to the novel’s climax with rare virtuosity. This is the moment to put in a good word about translator Bruria Horowitz’s skilled and accurate Hebrew translation, which speaks to us in simple language about ordinary Egyptians. It preserves the color of the common man’s speech and small details like the names of pastries and clothing accessories. I didn’t notice any stumbles or cumbersomeness that would disturb the wonderful transparency which characterizes Al Aswany’s hyper-realistic writing. The question that must be asked after finishing any novel written in many voices is what the author ultimately wanted to tell us. In the case of “The Automobile Club of Egypt,” one answer is that the novel slaps Egyptians in the face with the message that they are, by and large, an incorrigible, lazy, passive and decadent people, and that the few among them who are determined to fight for freedom are destined to fail, or to win only very partial or fictitious victories. Another answer, and perhaps a more interesting one, is that in this book, Al Aswany has recognized in the clearest possible manner that Egypt’s exodus from slavery to redemption must pass through the emancipation of women, and that women are the driving force for all change. It begins in the novel’s opening chapter, which describes Karl Benz, the eccentric German inventor of the automobile partly named for him, whose wife is the one who actually puts his invention into practice and brings it to the public’s knowledge. The same is true of the energetic heroes of “The Automobile Club of Egypt.” Behind each of them stands a strong woman, and it’s thanks to her that they are saved from slavery and passivity. We’ve already mentioned the Jewish Odette. There’s also Mitzi, Mr. Wright’s English daughter, who rebels against her father and falls in love with Kamel, the educated young Egyptian; and Saleha, Kamel’s sister, who isn’t willing to return to the husband who beats her. And there are the mothers, wives and widows of the club’s employees, who embark on a battle against hopeless odds to obtain the pensions they deserve. It’s impossible not to notice how much contempt the author has for those of his protagonists – and they comprise most of the automobile club’s servants – who submit to their wretched fate and the tyranny of their sadistic supervisor, and thereby sentence themselves to living as eunuchs of a sort, devoid of both honor and manhood, in a prison wrapped in cellophane, namely, the automobile club. Therefore, it’s not at all clear if their liberation from the yoke of the tyrannical Alku, for which the servants long in the novel, will actually liberate them from their internal prison, or whether to be truly free, another big step is needed, which most Egyptians haven’t yet taken and seem unlikely ever to take.